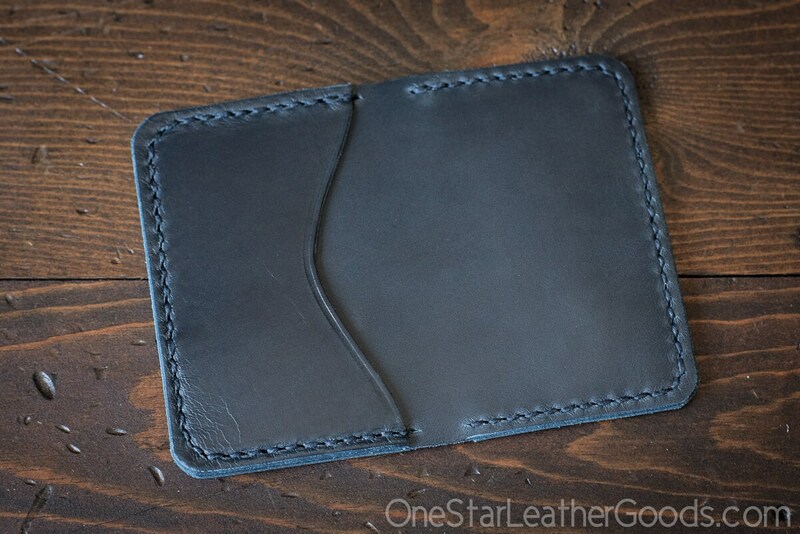 Two or three pocket card wallet, for the person who loves cards and travels light. 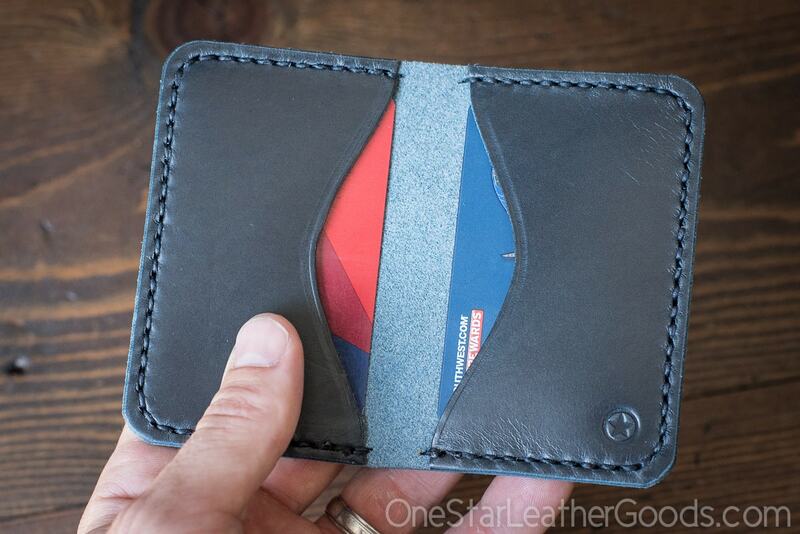 This is sized for business and credit cards specifically. Each pocket can hold 2-8+ cards and will mold to what you stuff into it. U.S. bills will fit but they'll need to be folded twice to fit in the pockets. Many people simply keep loose cash folded once in the middle when the wallet is closed. Texture varies on these, each will be wonderfully unique. Dimensions: about 7cm x 10cm closed, 14cm x 10cm open, 1cm thick when closed and empty.